Explore Bangkok. The capital of Thailand, Bangkok, should be the first place you head out to once you reach Thailand. While it’s a modern, metropolitan city, it is rich in cultural and historical heritage. 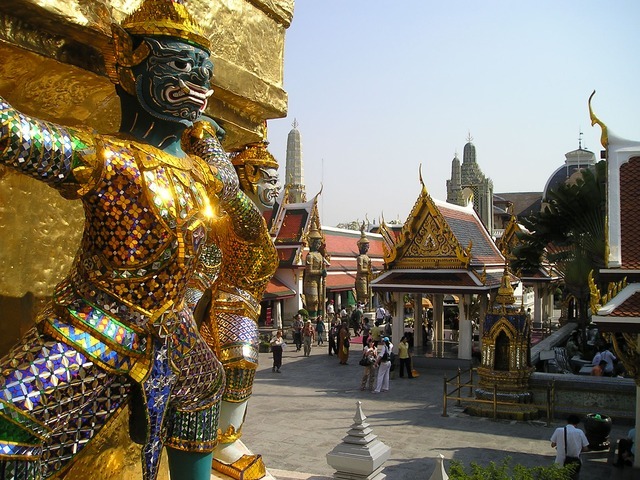 Tour around the city and take time to visit some of the city’s well-known attractions such as the Grand Palace. Take a historical trip. Bangkok is not the only place you can learn about the history of Thailand. The former capital, Siam, and other cities such as Ayutthaya and Sukhothai are great stops if you are interested in learning about the history of Thailand. Beaches. One of the top things to do in Thailand is going to the beach. Thailand’s beaches have lured millions of visitors every year from all over the world, since the 1920’s. Hua Hin is the country’s oldest beach resort discovered by King Rama VII. Topping the list of popular beaches in Thailand are Phuket and the Maya Bay in the Ko Phi Phi Leh Island, which gained fame thanks to the movie “The Beach”. Visit the waterfalls. Waterfalls can be found all over the country. Among the most popular are the Heo Suwat Waterfalls in the Khao Yai National Park and the Erawan Falls of Kanchanaburi. Marvel at the gravity defying limestone formations of Phang Nga Bay. This bay between Phuket, Phang Nga and Krabi has some of the most spectacular sights in the world, particularly the limestone formations that seem to defy gravity. You can join one of the day tours which will allow you to explore the area, or book in one of the hotels and inns available in some of the nearby larger islands.